We’ve been awarded Bookshop of the Year at the International Excellence Award ceremony at the London Book Fair. 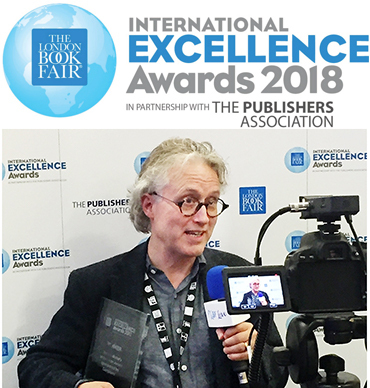 The award is presented by the London Book Fair and the British Publishers Association to ”celebrate and showcase the wonderful activities of the rest of the world’s publishing activity”. So, we’re Bookshop of the Year in the entire world (except UK)! This award is for you – we wouldn’t be here without you, our amazing customers, fans, friends and supporters. This is for you.